I've got something fun here for you today. Today I'm celebrating the release of my latest pattern in my pattern shop: the bedbug doll pattern! 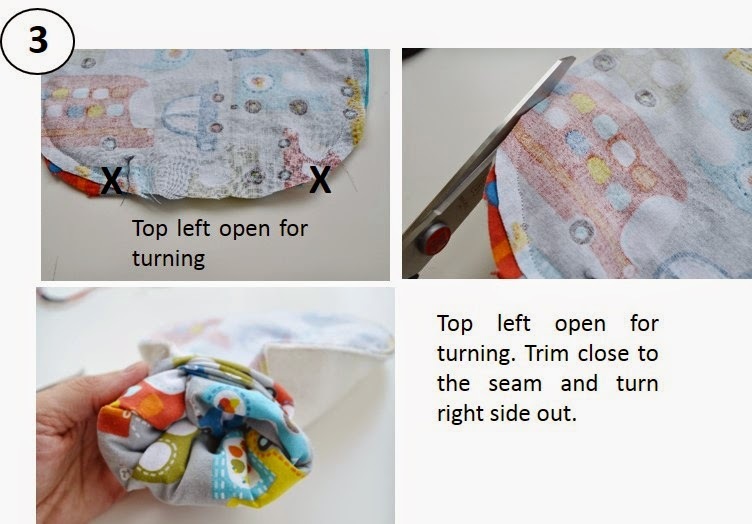 I thought what better way to celebrate than to show you how to make an adorable sleeping bag for your dolls. 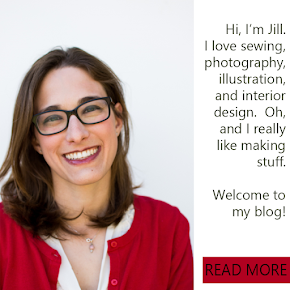 It's a sneak peak into what my pattern is like, and also a great example of how you can customize a pattern to really fit your own style and needs. 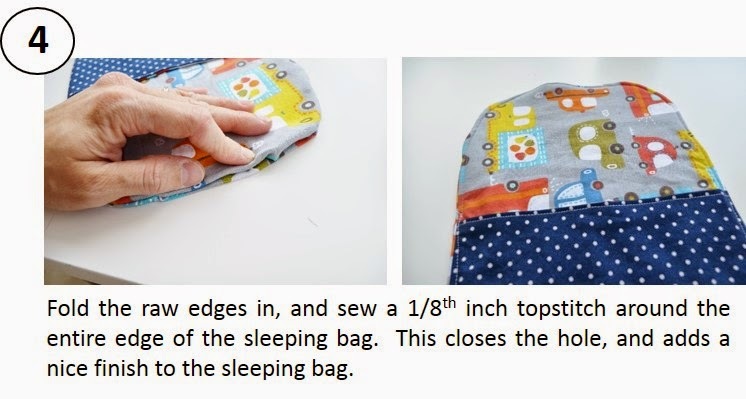 With these basic steps you should be able to create a sleeping bag for any doll...small like my bed bugs, or large! Just make your pieces larger or smaller as necessary. 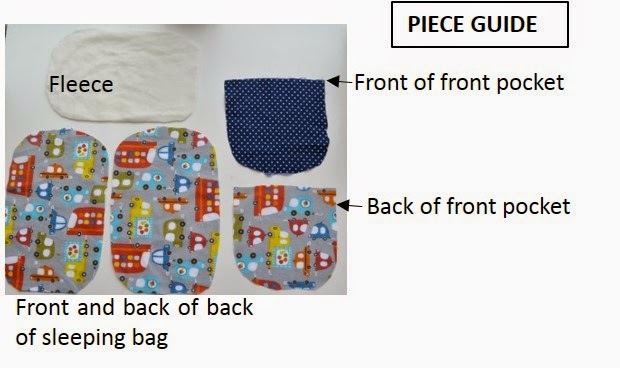 The pattern templates are available in my pattern, but you can just cut out the shapes yourself to fit whatever stuffed doll you'd like. First let's start with sewing the front and back of the pocket together. Now that you've made your pocket, it's time to sew the layers together, leaving an opening at the top for turning. What do you guys think? Any questions? That's how to make the simple version, but once you get that down you can move onto a bit more complicated versions. 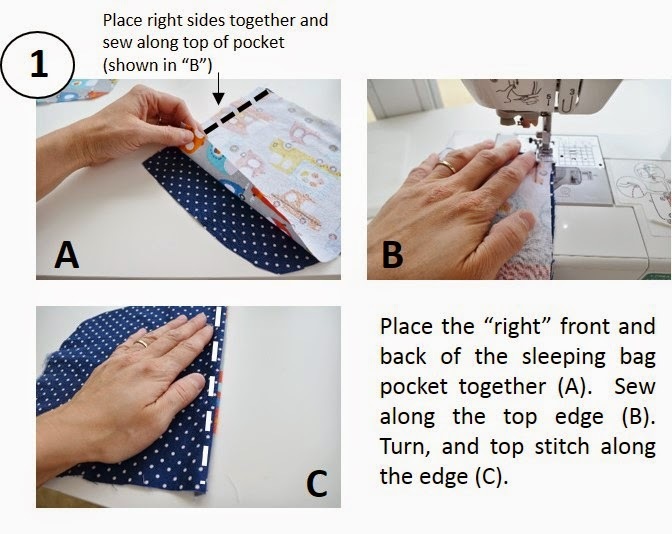 Quilt the pocket, add some applique... the possibilities are endless! These more complicated versions (and their corresponding dolls/mice) will be up in my Etsy shop in a week or so...just in time for the holidays! Hello! 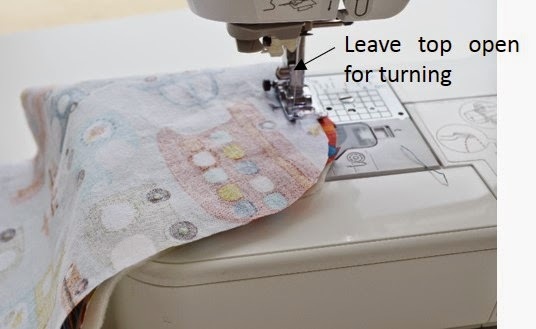 I've just found your blog, and this lovely tutorial. Thank you so much for posting it! 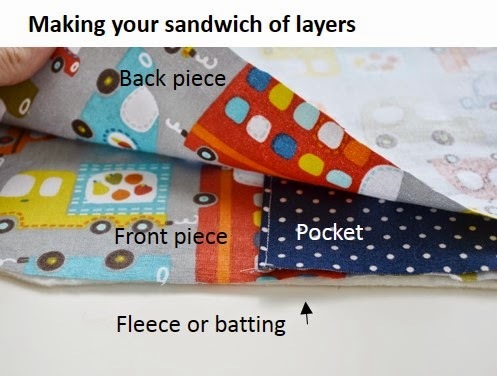 I'm rubbish at sewing, but this is simple and clear so I might be able to manage to make it for my daughter's bunny. Thank you very much!